The innovative Cymbal Chief cymbal support device reduces the number of parts needed on cymbal stands. It won't crush under the weight of the cymbal as felt pads do or break as plastic parts can. The innovative CymbalChief® cymbal support device reduces the number of parts needed on cymbal stands. It won't crush under the weight of the cymbal as felt pads do or break as plastic parts can. 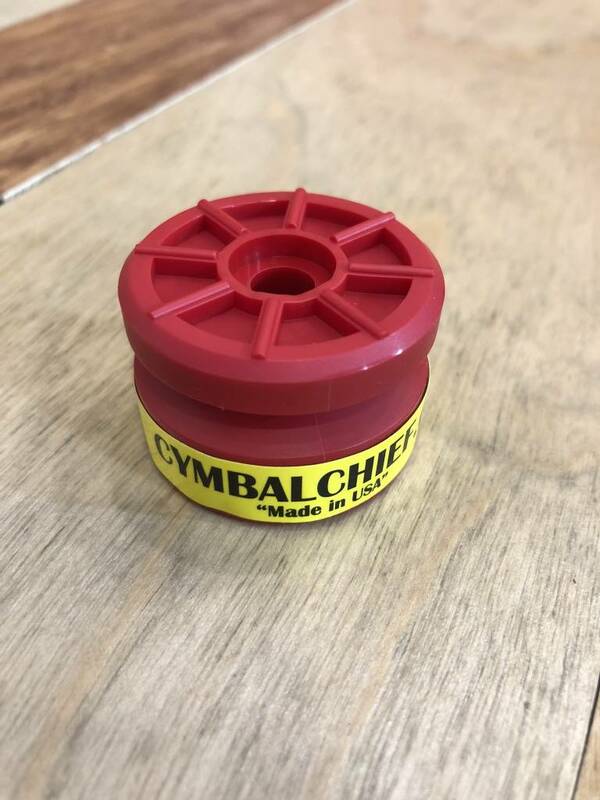 CymbalChief® replaces loose support washers and spacers and fits snugly on an 8mm cymbal post, while remaining in place during transport, set-up, and tear-down. The patented bevel below the top surface allows the cymbal to swing smoothly. The bottom of the CymbalChief® is designed with a concave center and flat perimeter to accommodate optional use of a flat or curved base washer. The CymbalChief® carries a ten-year warranty and is made in the USA from commercial-grade polymers for maximum durability. No Need for Felts or Base Washers. Use Less Parts on your Cymbal Stands. Save Time Setting Up & Tearing Down. Stays in Place Where you Need it Most, On the Post. Outstanding, a product that can withstand a drummers jam. Nice product.